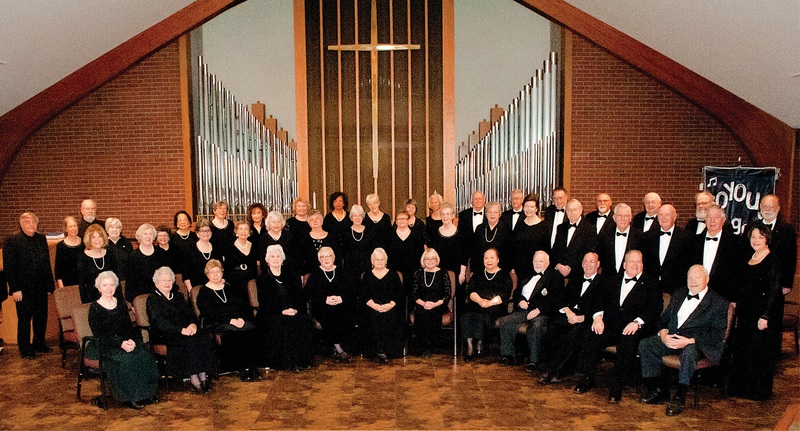 The Joyous Singers is a community-based chorus for singers 55+ years young! This community of musicians enjoys fellowship together and service to the Louisville community by performing for senior communities and organizations, churches, conventions, banquets, and service clubs. Our musical repertoire includes show tunes, sacred and folk songs. We offer several free public concerts a year at several locations: our Christmas program in December, and our Spring program in April and May. Wednesday, April 10, 2019 at 2:00 p.m.
New singers are always welcome to join us! Rehearsals are Thursday mornings from 9:30 - 11:30 at Calvin Church, September - May. Contact our Director, Anita Mowery, to schedule an audition (502-896-0303).